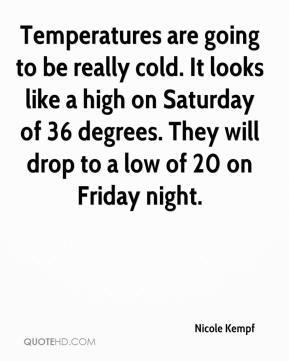 Temperatures are going to be really cold. It looks like a high on Saturday of 36 degrees. They will drop to a low of 20 on Friday night. 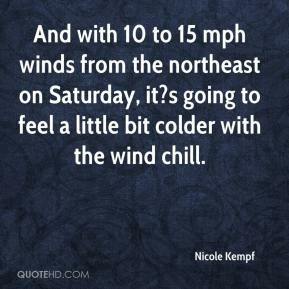 And with 10 to 15 mph winds from the northeast on Saturday, it?s going to feel a little bit colder with the wind chill.